Zorlu Center, by Carve & WATG Landscape Architects, Beşiktaş, Istanbul, Turkey. 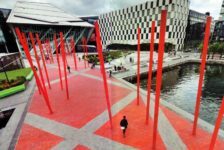 Designing a place where children can explore, grow and develop is not an easy thing to accomplish, as there are so many things to take into consideration, including the safety of the elements used. 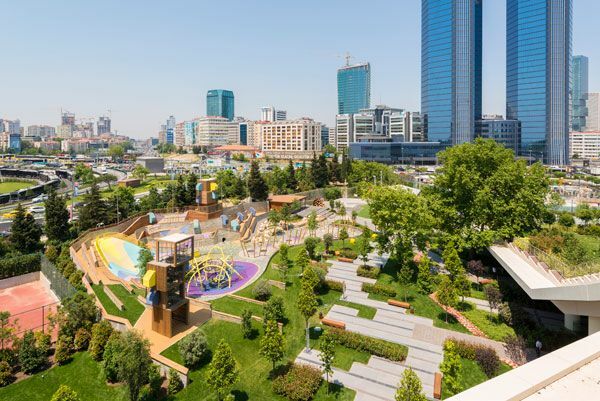 Zorlu Center is one of the prime examples that could be offered, being a playground where even imagination comes to play. 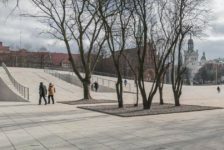 This project was undertaken by the talented team of landscape architects from Carve (Amsterdam), in partnership with WATG Landscape Architects, the London branch. 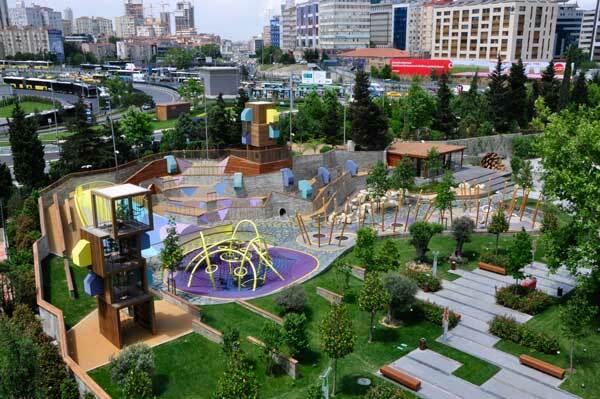 It was completed in 2014, as one of the largest playground developments in Istanbul, covering an area of 1600 m2. Carve is a renowned Dutch design and engineering studio, being especially known for the design of spaces for children and their unique integration with the rest of the public space. Children love to explore and discover new things more than anything else in the world. 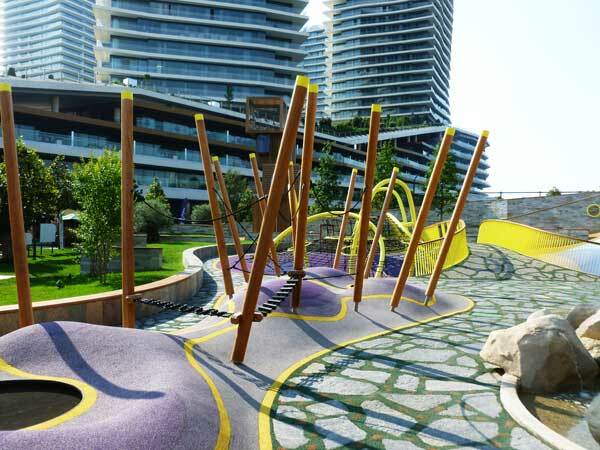 In designing this playground, the landscape architects chose different elements, so as to appeal to the main users of the area, meaning children. The basic idea was to allow children to use their imagination to the fullest, enjoying the diversity of shapes and colors. 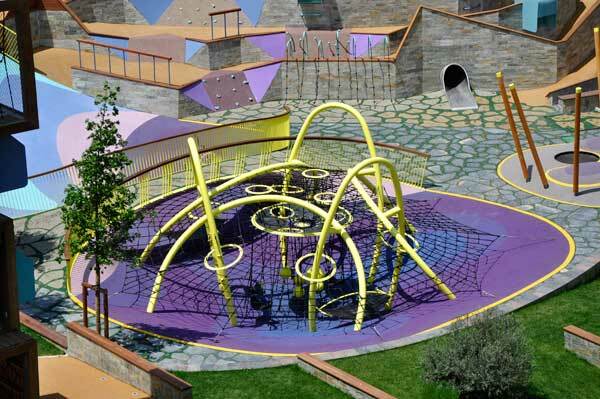 The design elements were chosen in a careful manner, guaranteeing the most incredible play experience for children of different ages. The Need for Constant Stimulation One could not have designed this playground without taking into account the children and their need for constant stimulation. 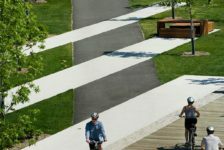 From concept to layout, this project is unique, showing the true talent of the landscape architects who have worked on it. It is amazing to see how well the play equipment has been integrated into the landscape, delivering a play experience that cannot be compared to others. 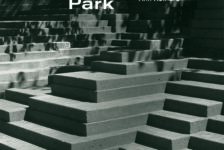 Parents Can Safely Supervise Due to varying Heights Throughout the Design The playground has different heights and it is bright and colorful; one can enjoy the natural looking environment and the different opportunities for adventure that are offered throughout the park. Whether the children play in the low or in the high area of the playground, the parents can safely supervise them from the neighboring terrace. 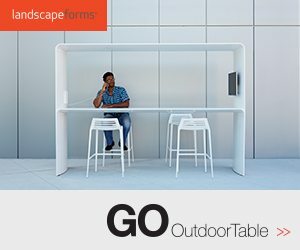 Or, if they want, they can relax on the elongated bench that embraces the whole area of the park. As you can see, every element of design has been carefully considered, based not only on the needs of the children but also on the ones of the parents. Designed Sections for Different Age Groups At the start of the playground, there is a specially designed area for young children. 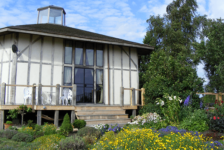 This offers plenty of opportunities for physical activity, including climbing and sliding. 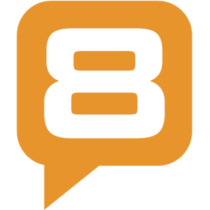 Children are free to explore the most diverse play elements, with trampolines, spinners, climbing nets, hammocks and slides guaranteeing diversity above all else. The middle area of the playground is defined by a change in landscape, with the hills turning into deep valleys. Secrets Awaiting to be Discovered Here, children feel like they are in a hidden world and they are stimulated to discover all of its secrets. There is a bridge to walk upon, a giant netting structure that creates a lot of fun and a giant family slide, accommodating a lot of children at the same time. Two of the most interesting play elements are represented by the climbing net and the family slide. These have bright colors, standing out from the rest of the play elements and they also serve to the needs of the children – they stimulate the inner sense for adventure and exploration that children have. The Two Towers The playground also has two towers, each of them with its own size and levels of abilities. 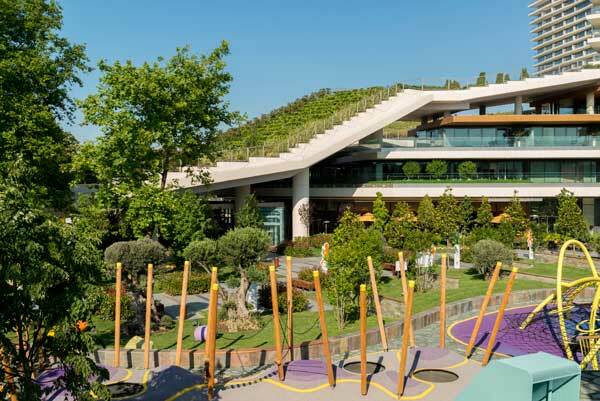 The children enjoy the possibilities of going up, with alternative routes (transparent and non-transparent) and plenty of play elements to discover. 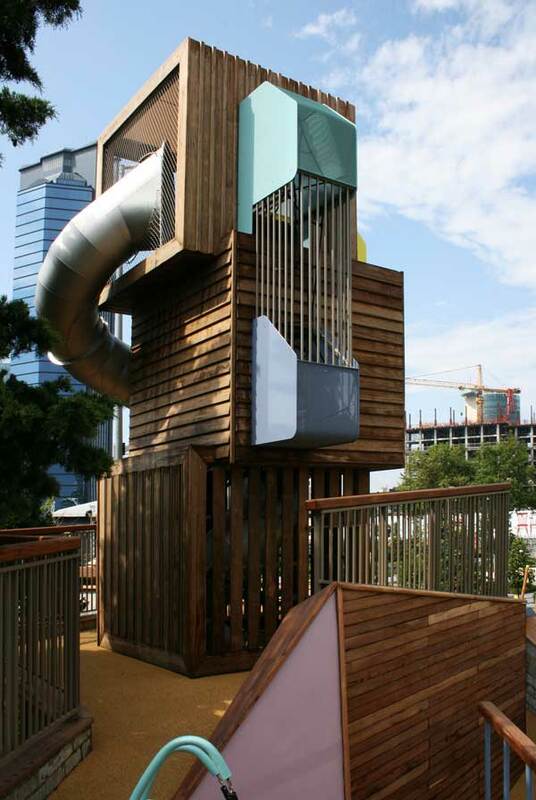 The first tower has three floors and it is found in the highest part of the playground, having a long slide for kids to use. Hidden Outlooks It also has the birds nests that seem to be part of the landscape, but they are actually hidden lookouts. The second tower has four floors, with the interior being focused on climbing and hiding. 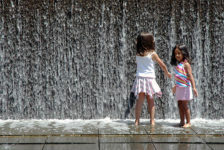 Both of them stimulate the imagination of children, tempting them to play and develop. 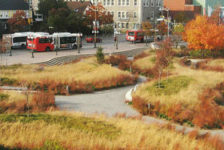 Once again, the talent of the landscape architects who have worked on the project has to be appreciated. 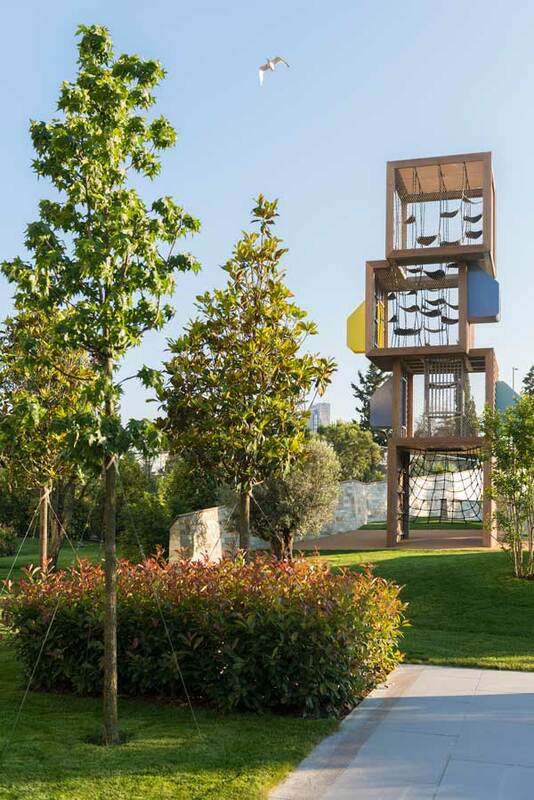 Zorlu Center is a playground where children come to enjoy the most diverse play elements, engaging themselves in various physical activities. 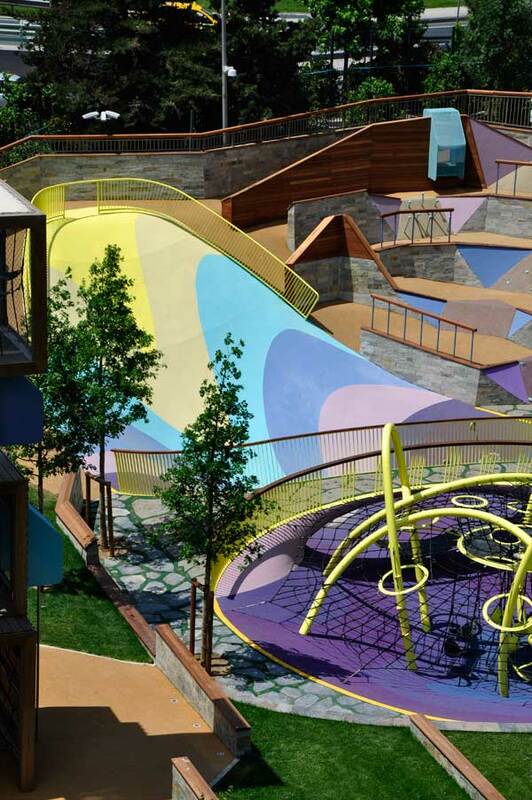 From the point of view of the design, it represents a great work of landscape architecture, with the playground blending in beautifully with the rest of the landscape. Want Help Paying For School?